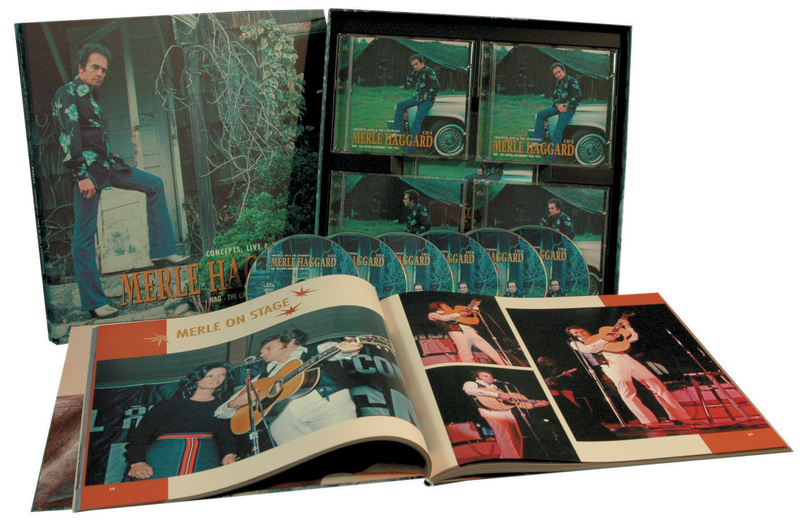 6-CD box (LP-size) with 120-page hardcover book, 168 tracks, 1968-76. Playing time approx. 440 mns. Merle Haggard was one of the first country artists to see the LP as more than one hit and some filler songs. 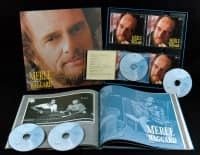 Now Bear Family gathers together all of his 'concept' LPs for Capitol 1968 -1976, plus the 'live' LPs... plus the LPs by Merle Haggard's band, the Strangers! 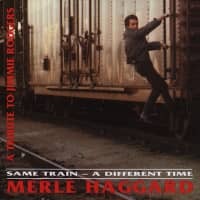 Fans and critics alike view this as Merle Haggard’s finest work. This is some of the finest music from Merle Haggard’s 45 year career. Fans and critics agree on that. 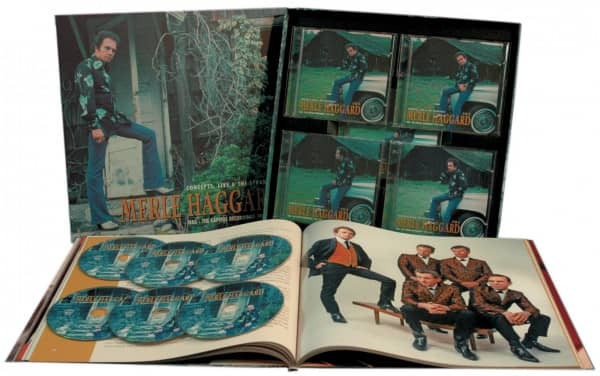 The box includes the Jimmie Rodgers tribute double album from 1968 and the Bob Wills tribute album from 1970 for which Merle Haggard reunited many of Bob Wills‘s original Texas Playboys. 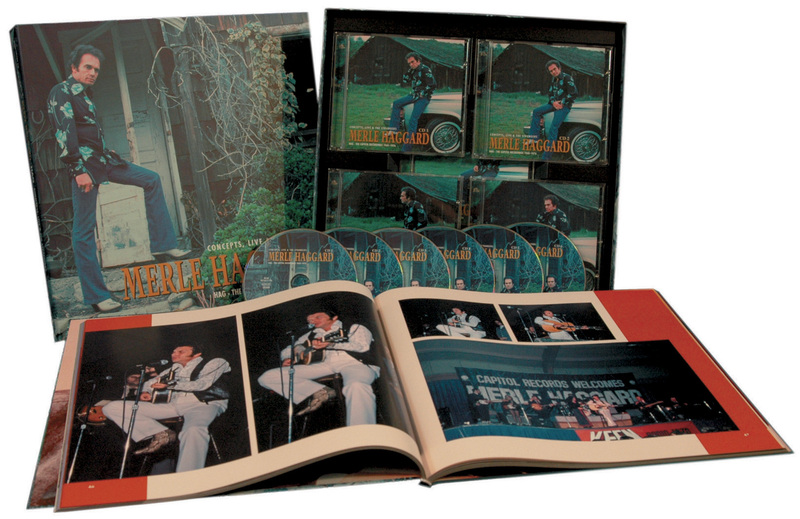 There are three exciting live albums, including one of the best selling country albums of all time, 'Okie From Muskogee--Live In Muskogee, Oklahoma.' 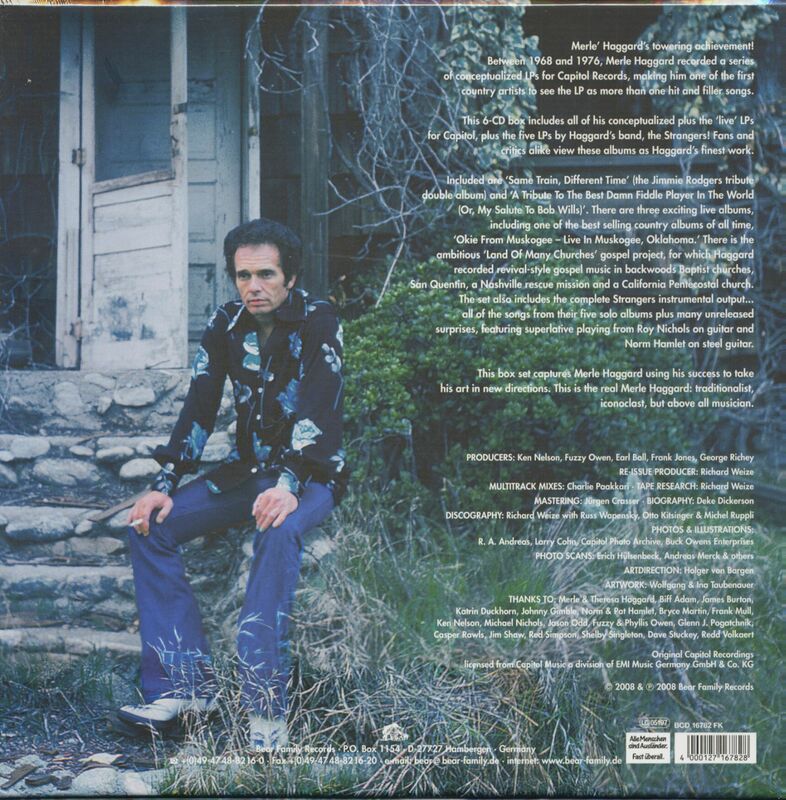 There is the ambitious 'Land Of Many Churches' gospel project, for which Merle Haggard recorded revival-style gospel music in backwoods Baptist churches, San Quentin, a Nashville rescue mission and a California Pentecostal church. 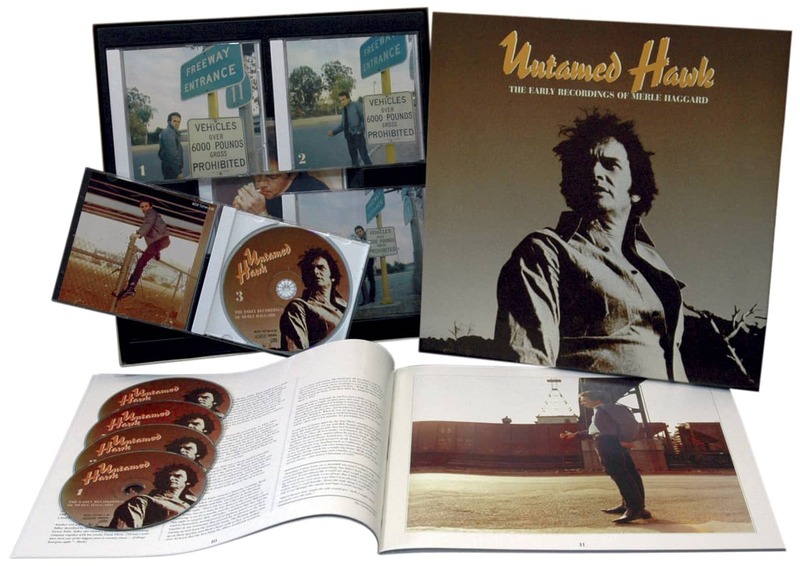 The set also includes the complete Strangers instrumental output...all of the songs from their five 'solo' albums plus many unreleased surprises, featuring knockout playing from Roy Nichols on guitar and Norm Hamlet on steel guitar. This box set captures an artist using his success to take his art in new directions. 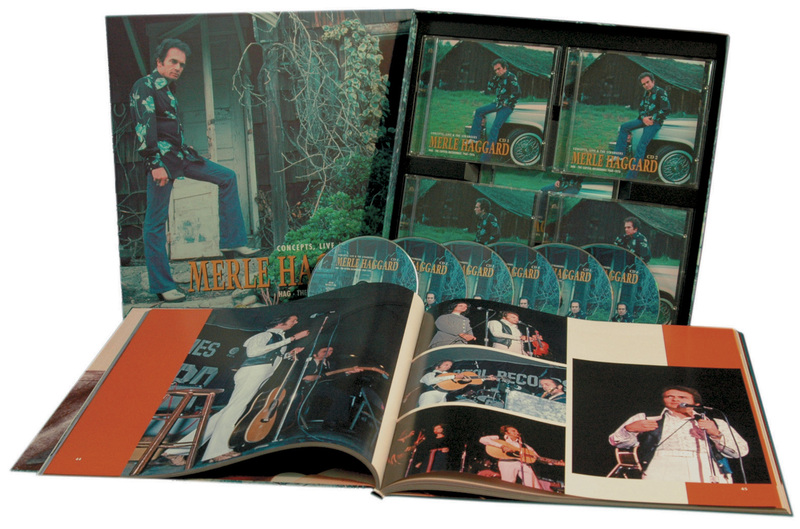 This is the real Merle Haggard: traditionalist, iconoclast, but above all musician. 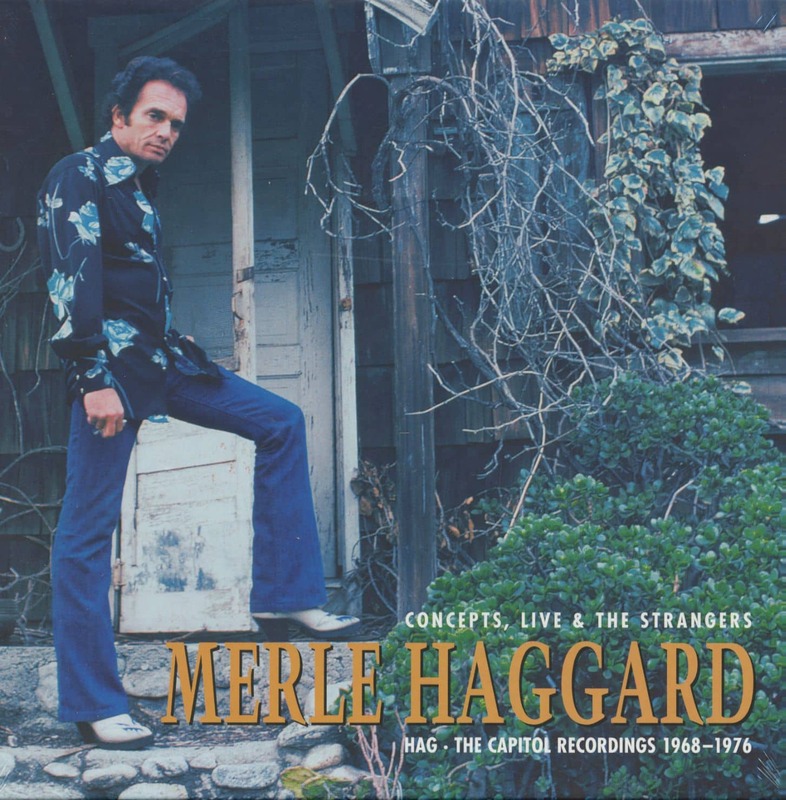 Customer evaluation for "Hag - Concepts, Live & The Strangers - The Capitol Recordings (6-CD)"